If it’s on your bucket list, chances are our intrepid travel counsellors have already been there. After all, criss-crossing the globe in search of adventure is what we do best! Here’s a quick snapshot of just two of the thrill-seeker-friendly destinations we’ve been checking out: Iceland and Peru. If you’re in good health, active and willing to break a sweat in the pursuit of discovering the archeological and cultural treasures of the Inca, then the 8-day Inca Discovery small-group vacation with G Adventures is just the ticket. 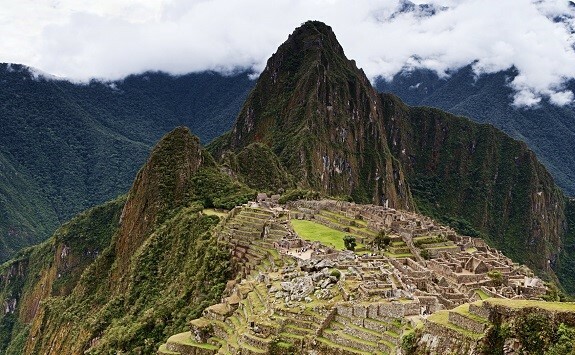 This once-in-a-lifetime adventure includes a four-day trek along the Inca Trail to discover the stunning mountains, cloud forests and jungles that surround Machu Picchu. Other highlights include seafood sampling in Lima, exploring ruins and bartering at local markets in the Sacred Valley. Don’t be fooled by the chilly name. Iceland is one of the coolest, unspoiled destinations on the planet. Walk on a glacier, hike lunar landscapes and treat yourself to award-winning cuisine. Explore those incredible thermal pools, ancient landscapes or world-class golf links. This destination is the perfect mix of the sublime, the dramatic and the sophisticated.